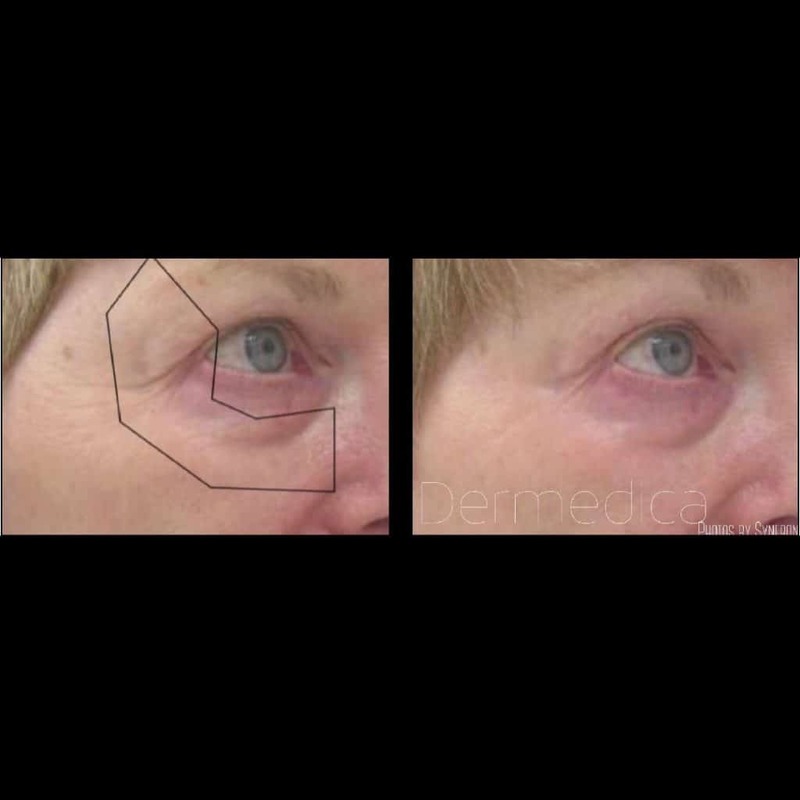 Dermedica delivers under eye treatments for clients from Scarborough, Claremont, Karrinyup, Joondalup and surrounding suburbs. There are several treatment options available which will restore brightness to your eyes and have you looking more refreshed. My friends say I look tired… but I’m not! This is a common complaint from clients who come to us seeking treatment for dark under eye circles. 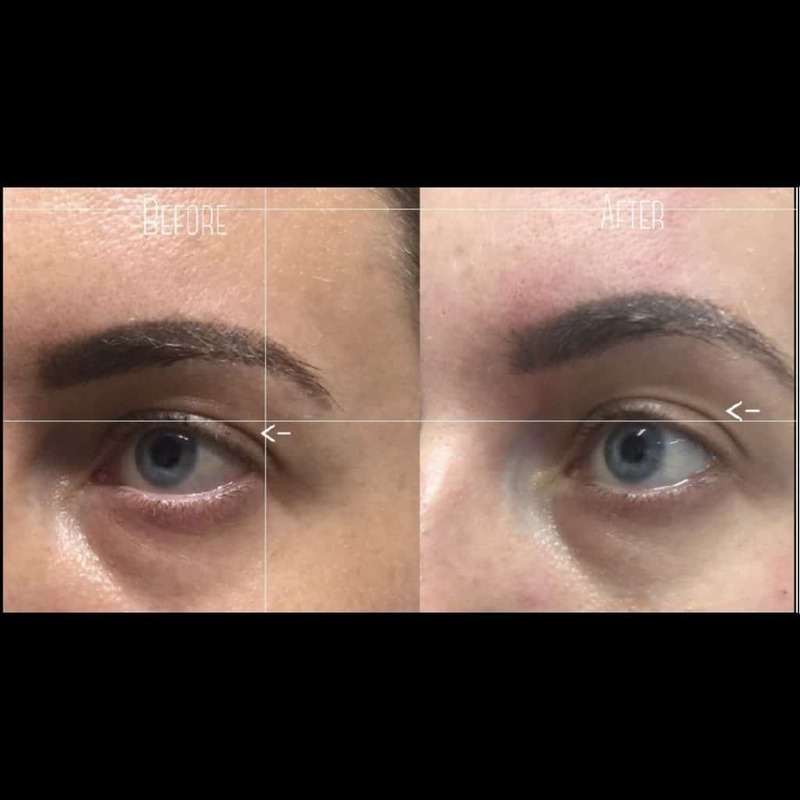 After an initial consultation, we will recommend the best treatment to reduce your under eye circles and have you looking youthful and full of energy. Gentle, understanding and highly experienced, Dr Joanna Teh has treated hundreds of clients from across Perth. She will take the time to understand the cause of your dark eye circles before recommending a treatment which is right for you. With the help of under-eye treatments which are proven to be effective, you will find yourself looking as fresh and young as you feel. Thanks to Dr Teh’s experienced care, you will experience minimal discomfort throughout your procedure. 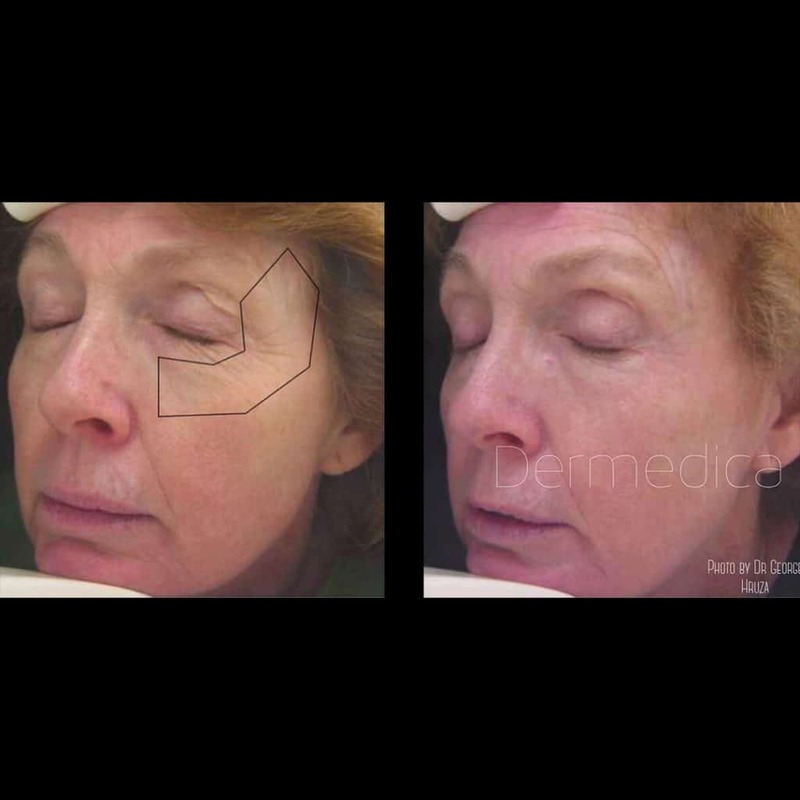 Dermedica uses treatments which are proven to be completely safe and which will deliver instantly visible results. Contact us to find out more today. This lady was concerned that her eye bags was making her look old and tired. She was not ready for surgery. After a thorough consultation with Dr Teh, she decided to have some fillers under her eyes. 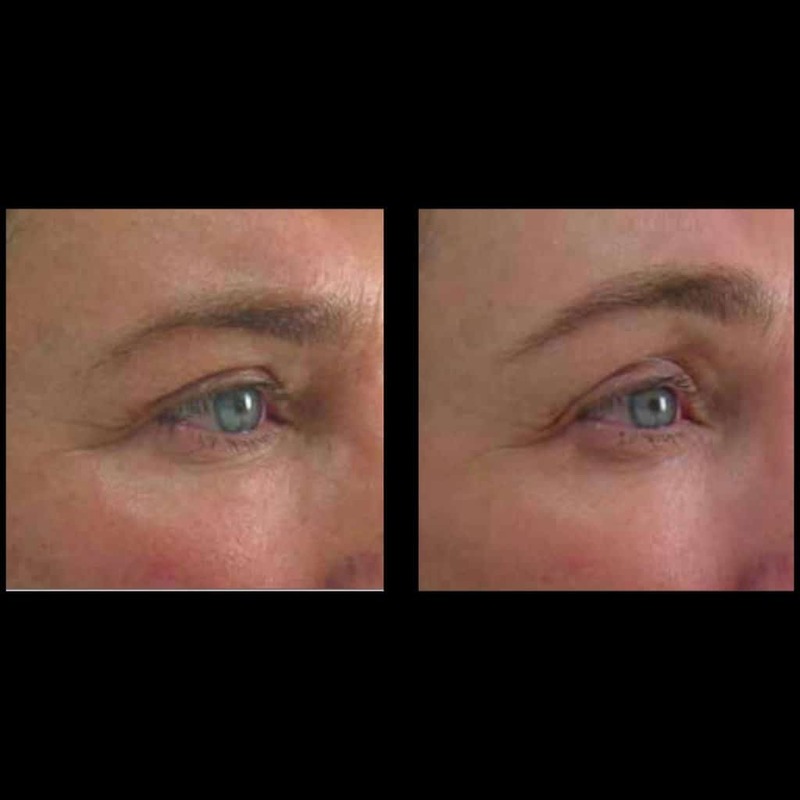 She was happy with the outcome of the filler as it has removed the tired look and made her look fresher. This lady was concerned about her eye bags because it made her look tired. She was afraid to have eye surgery and decided to explore the non surgical option. 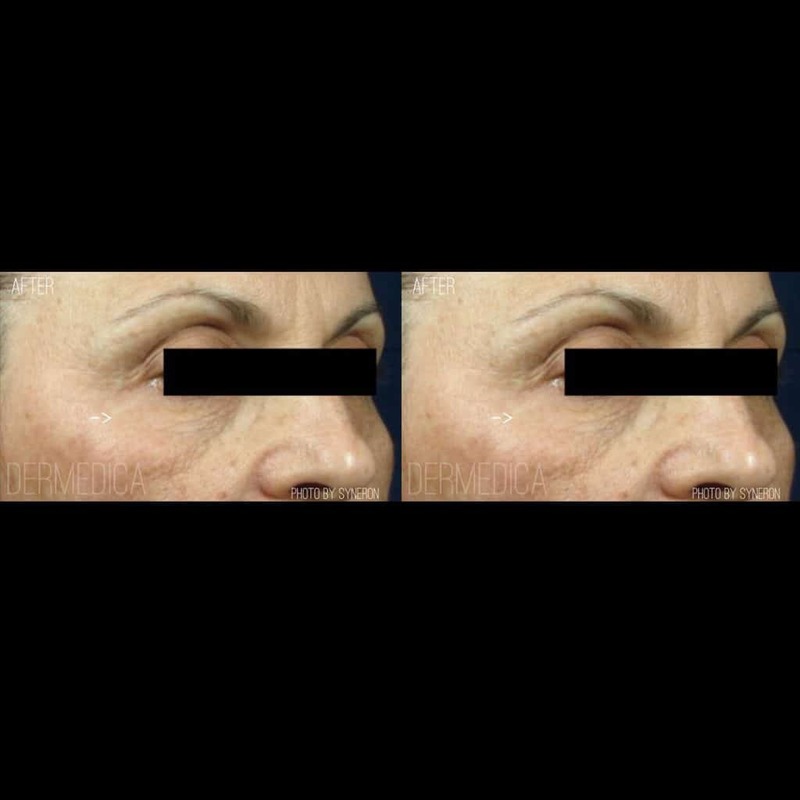 The after photo* revealed her result using a dermal filler administered in the eye region. She had mild swelling and pin point bruising for a few days. This is one of Dr Teh’s client who was concern that her eyes are looking tired. Dr Teh used a specially formulated eye filler to filled in the tear trough. After the treatment, her eyes look more refreshed and brighter. 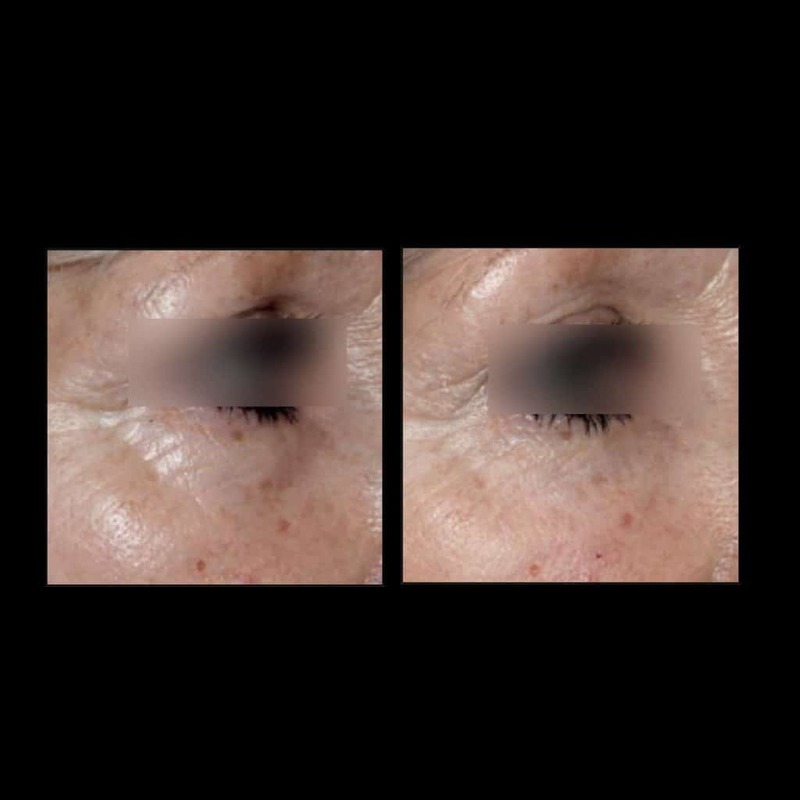 This client seeked Dr Teh’s help because she was tired of trying to coverup the dark circle under her eyes. Dr Teh used a soft filler to filled the tear trough area. She had no downtime from the filler treatment. The result speaks for itself. This lady noticed a deepening of the circle under her eyes. 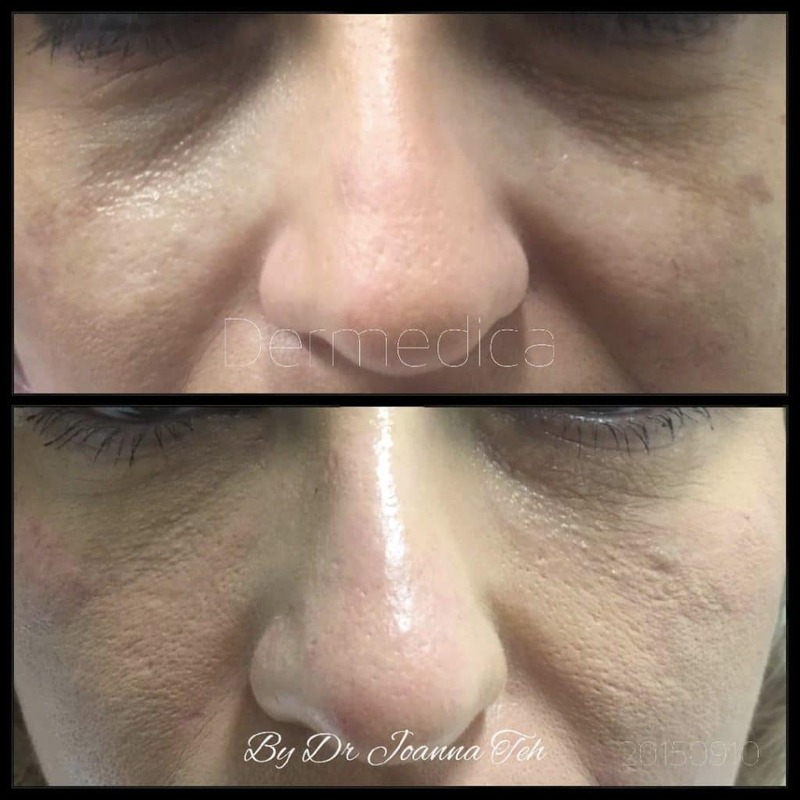 She is an ideal candidate for dermal fillers to reduce the shadowing effect. 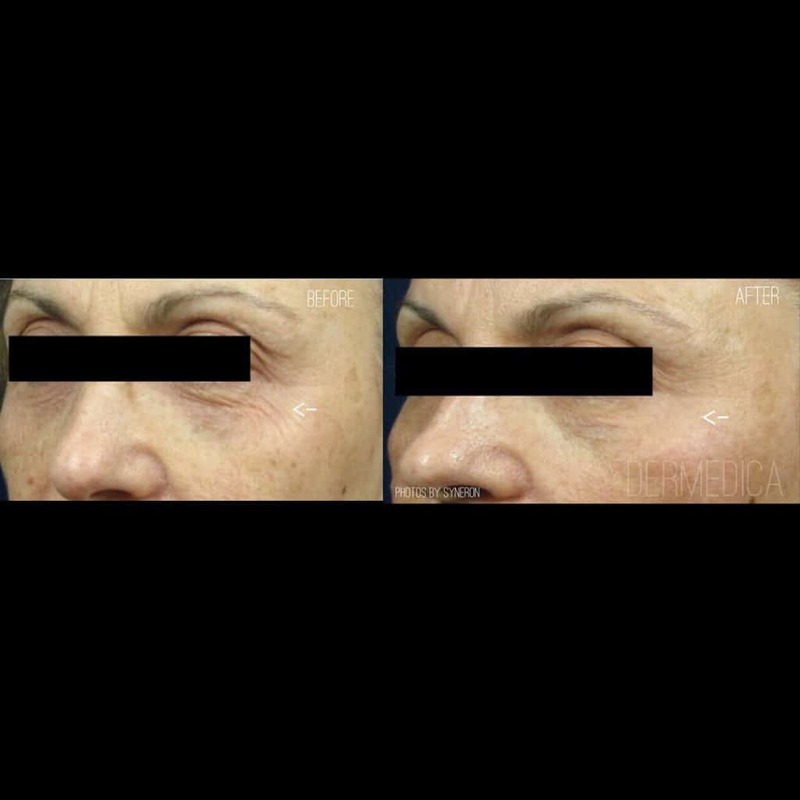 After 1 dermal filler treatment, Dr Teh reduced the dark circle under her eyes. This gentleman was tired of looking tired. 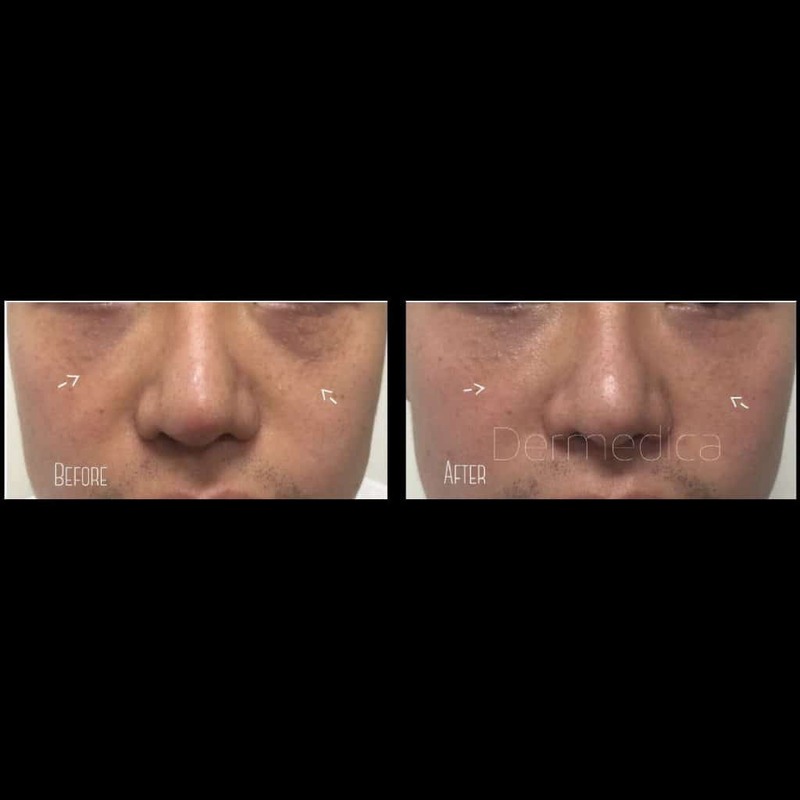 Dr Teh used a specially formulated dermal filler to reduce the hollowing effect under his eyes. 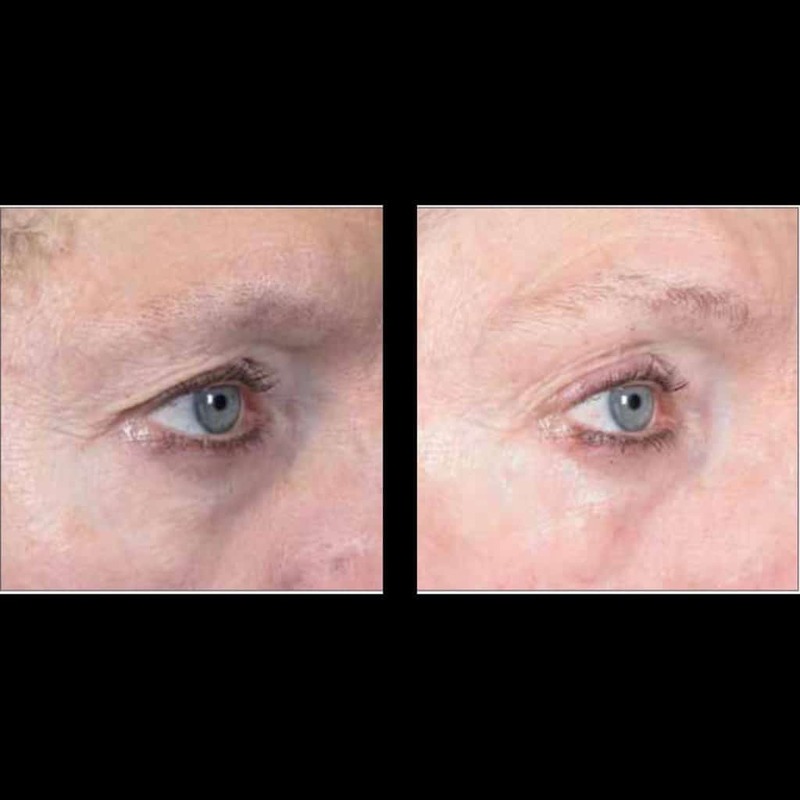 What treatments are available to reduce dark under eye circles? 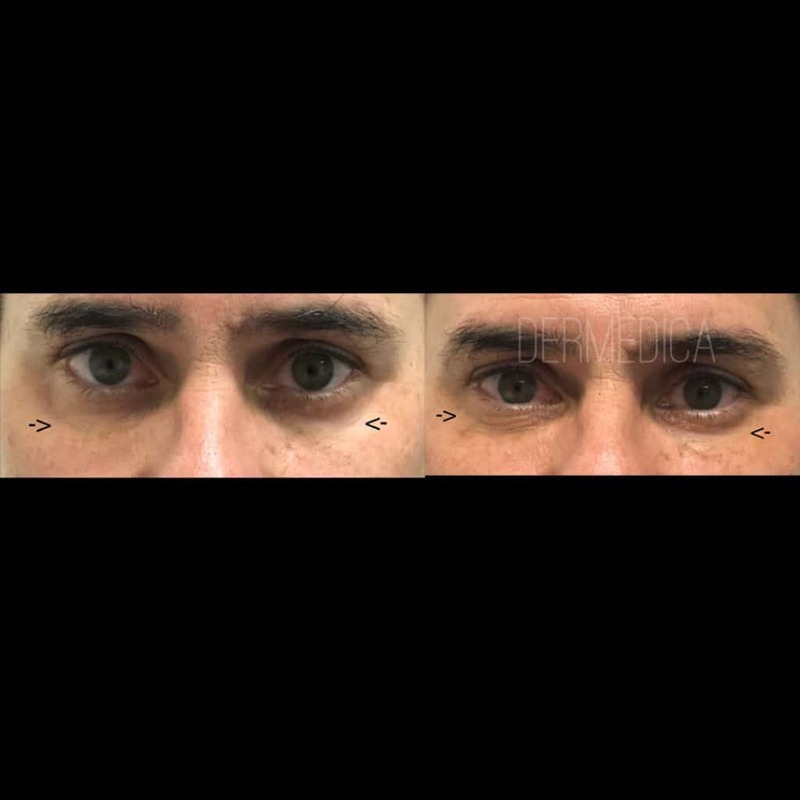 How effective are dark under eye circle treatments? How quickly will I see results from my treatment? Does it hurt to have under eye circle treatment? 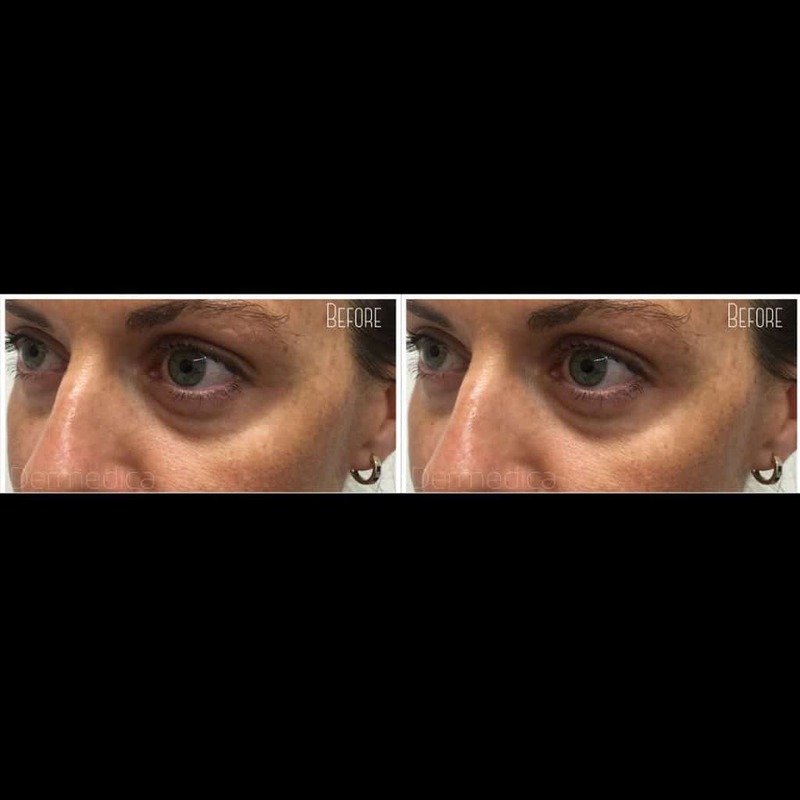 What are the side effects of dark under eye circle treatments? Can I see evidence that this treatment works? Dark circles under the eyes are caused by fatigue, ineffective micro circulation and unhealthy lifestyles. They can often be hereditary. 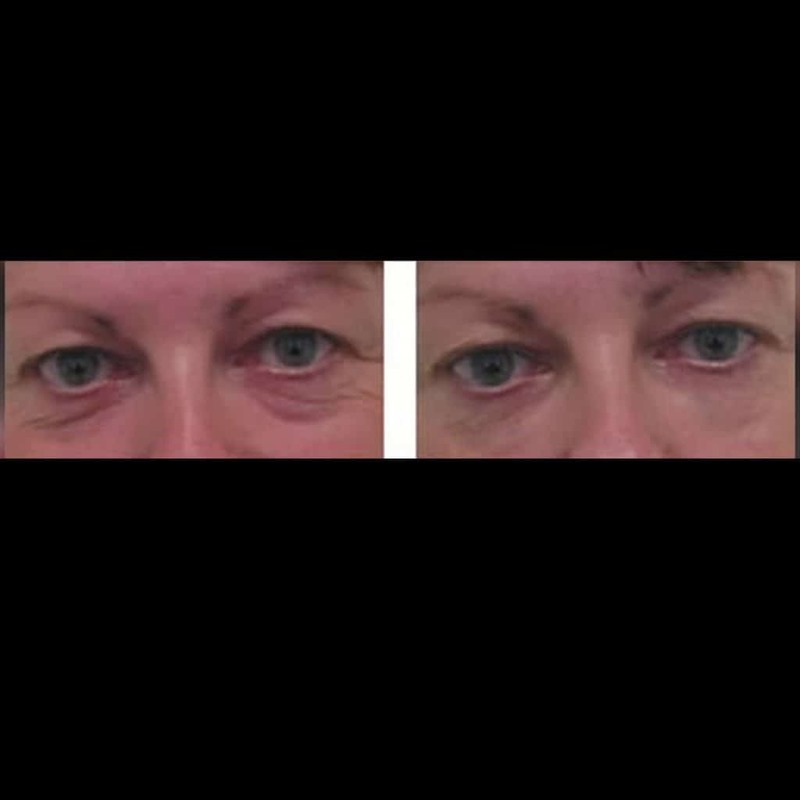 Treatment for dark circles under the eyes varies depending on the cause of the problem. First and foremost, we need to assess lifestyle causes such as lack of sleep, sinus issues, allergies, unhealthy lifestyle habits and smoking. When you book an assessment with Dr Teh, all these issues will be discussed along with possible treatment options. Treatment for dark circles, puffy eyes and lines under eyes may include high grade eye cream. One of the eye creams that we recommend is the Dr Obagi’s ZO Olluminate intense eye repair and ZO hydrafirm. 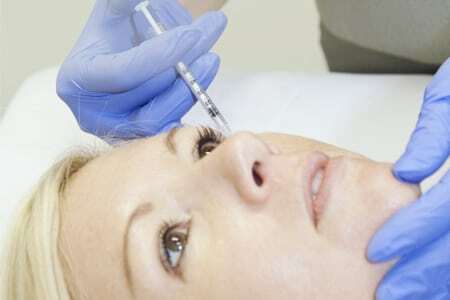 For cosmetic injection treatments, administer a specially formulated injectable gel to treat the delicate and sensitive eye area. 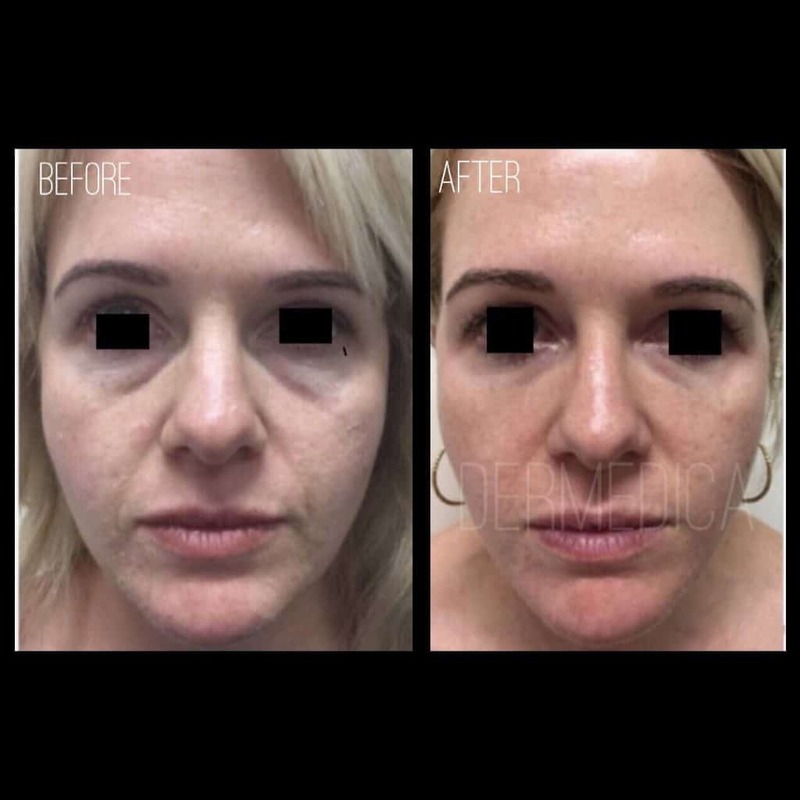 The active ingredient in the gel is commonly use in dermal fillers so it is naturally present in the skin to give hydration, elasticity and firmness. Designed specifically to treat dark circle or tear troughs, the product is a sophisticated gel with essential nutrients to nourish the skin under the eyes. It contains eight amino acids (arginine, glycine, lysine, threonine, proline, isoleucine, leucine and valine), three antioxidants(glutathione, cysteine, alpha lipoic acid), two minerals(Zinc, copper) and Vitamin B6 to encourage global dermal restructuring and rehydration. 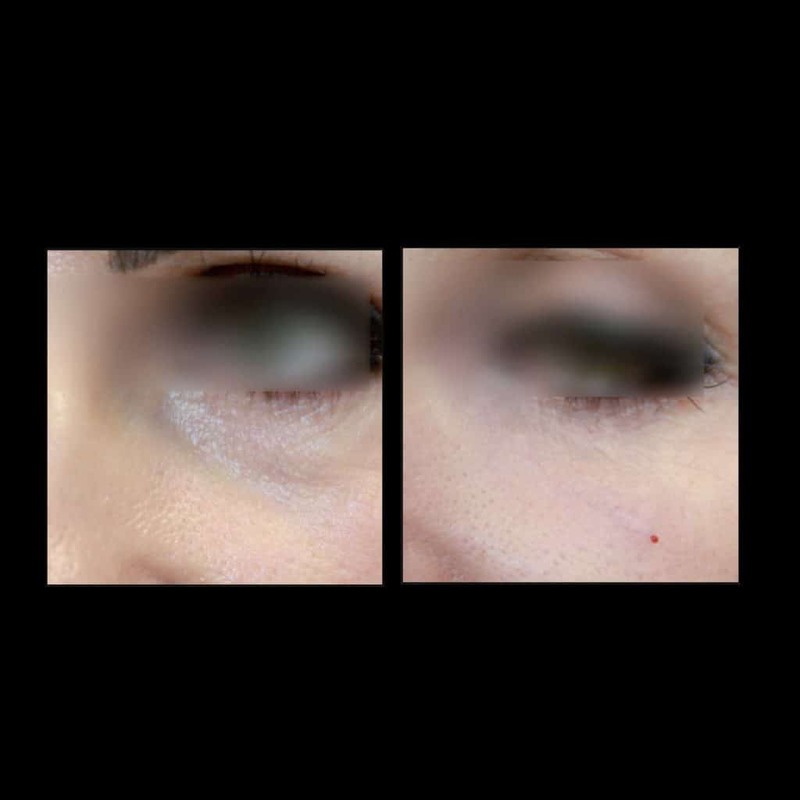 Cosmetic injections under the eyes for dark circle, tear trough and eye bags can be very effective for many patients. We would recommend an initial consultation with an experienced cosmetic doctor to ensure the treatment is right for you. 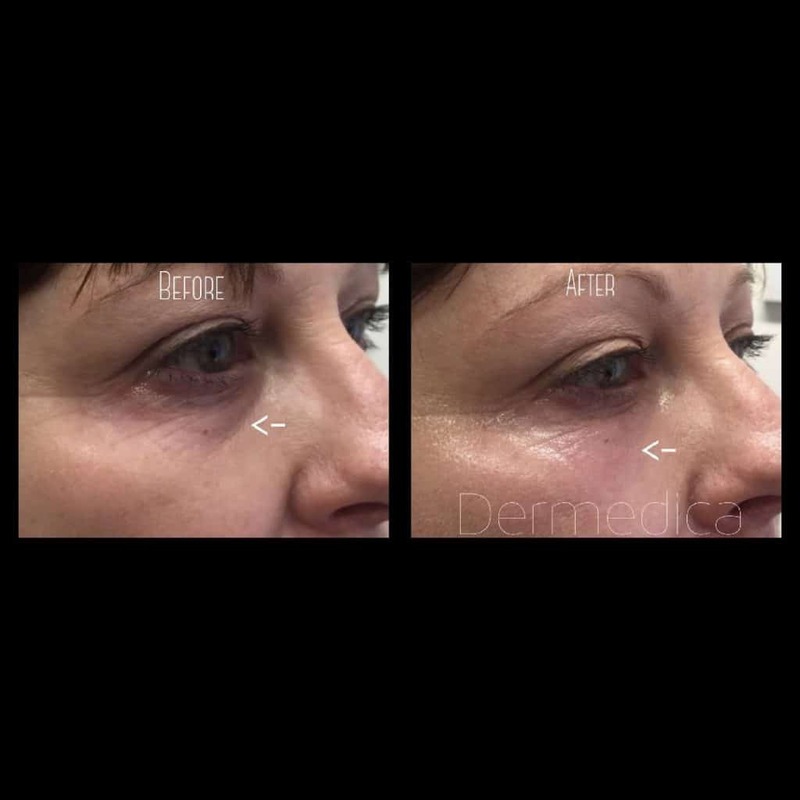 Results are immediately visible after the injection due to the volumising effect of this dermal filler. However, as with all medical procedures, individual results may differ. It is important to have a thorough discussion with an experienced cosmetic doctor to assess your suitability. When you visit Dermedica, you will be exclusively treated by Dr Teh. We do not have nurses doing this treatment so you can rest assured you are in the most qualified of hands. Dr Teh has more than 16 years of experience and takes thorough precautions to give you a safe and visible outcome. 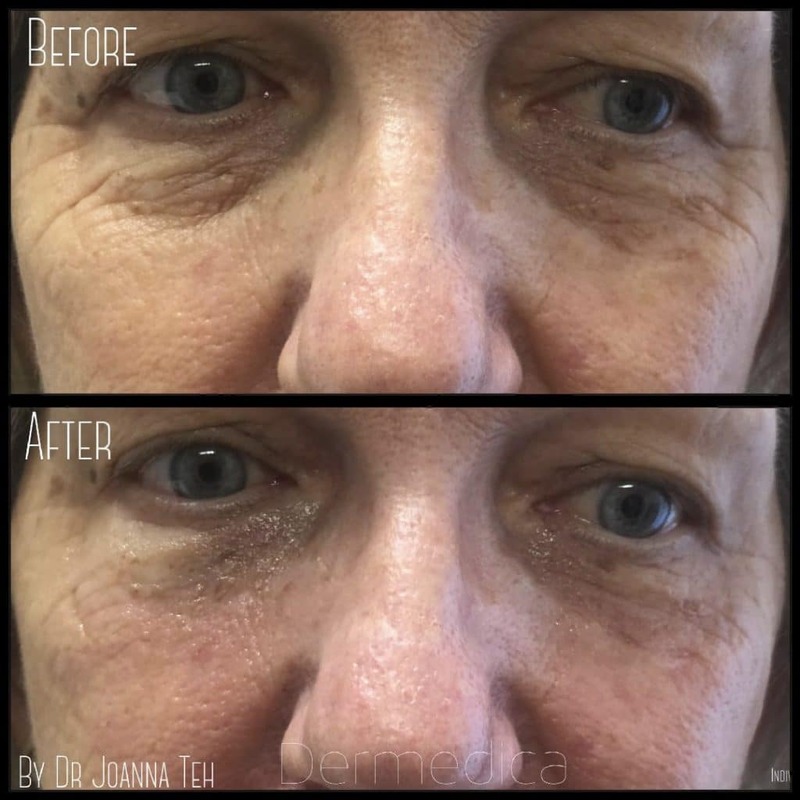 In addition, this specially formulated dermal filler for dark circles under the eyes includes lidocaine to ensure optimal comfort throughout the treatment. Side effects are usually minimal. Redness, bruising at the treated area may occur, but they are greatly reduced by applying ice pack after the cosmetic injection. Other rare side effects are temporary lumps under the skin and vascular effects. As with all medical procedures, individual experiences may differ. It is important to have a thorough discussion with an experienced cosmetic doctor to assess risks and talk through possible side effects.